Villa Kalya is part of Panacea Retreat estate, located on Bophut Hills, north coast of Samui. 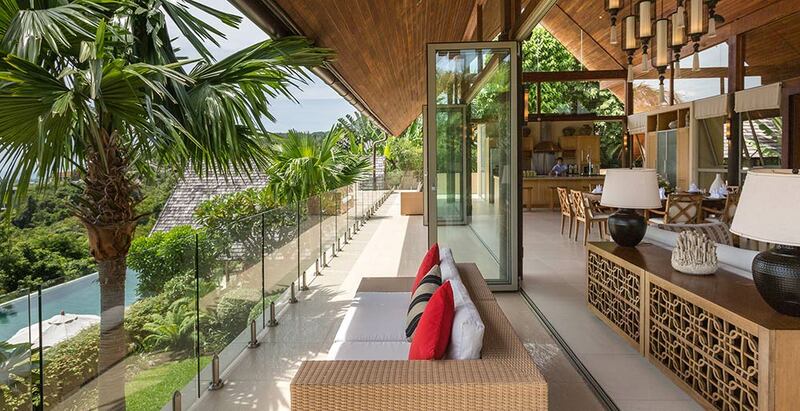 This four-bedroom villa offers magnificent views of Koh Samui’s outlying islands. This contemporary Thai-style villa has four bedrooms with spacious built-in wardrobes, bathrooms with double vanity and rain shower. The 20m blue-tiled infinity pool enjoys premium island and ocean views. Modern entertainment amenities, open show kitchen, breakfast bar, barbecue, pool deck and terrace are a few of the facilities that the villa offers. A team of staff including a villa manager, housekeepers, service attendants and an on-call private chef, is available to take care of guests.